I’ve gotten to where I like Joe Hill’s novels, so I was looking forward to this short story because of the interesting premise. Hill does a really good job portraying Mallory Grennan, ex-Iraqi war vet, and I sympathized with her immediately. 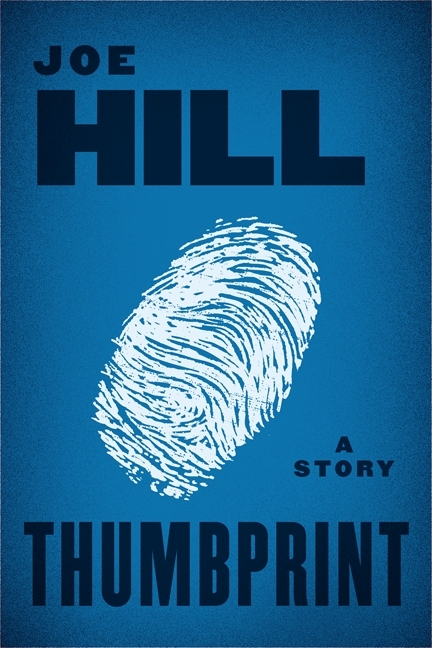 She’s obviously dealing with post-traumatic stress disorder, and Hill makes the reader feel the reality of that as Mal goes through her daily routine, just hanging onto life by her fingernails. Even Mal doesn’t know why she takes a wedding ring from a passed out drunk, but she wants it and keeps it. Her character development is shown in today’s world and that of her tour in Iraq as part of an interrogation team. The evil that war brings out in men is laid bare, and Mal is as much a victim as the man her team tortures. Suspense ramps up on both fronts, in the present day and in Mal’s memories of what she did. Both arenas are compelling and edgy, and succeed in drawing the reader deeper and deeper into what is really going on and what is going to happen. The story totally absorbed me and nailed me to every page. Then I noticed the amount of story left on the ebook grew noticeable shorter without a resolution looming. Before I turned the last page, I knew I wasn’t getting the story I wanted and I felt let down a lot. I noticed that IDW is now doing a comic book series about the short story and I wonder if the story will resolve any differently. This entry was posted on July 27, 2013 at 5:57 am and filed under Comics Related,horror,Novella. You can follow any responses to this entry through the RSS feed. You can leave a response, or trackback from your own site.